If you are looking for a great downtown Chicago Loop views, this apartment building might be your place. These luxury apartments offer extraordinary views of Millennium Park, Grant Park and Lake Michigan. Beyond the views, both Millennium and Grant Park are located merely foot steps away. 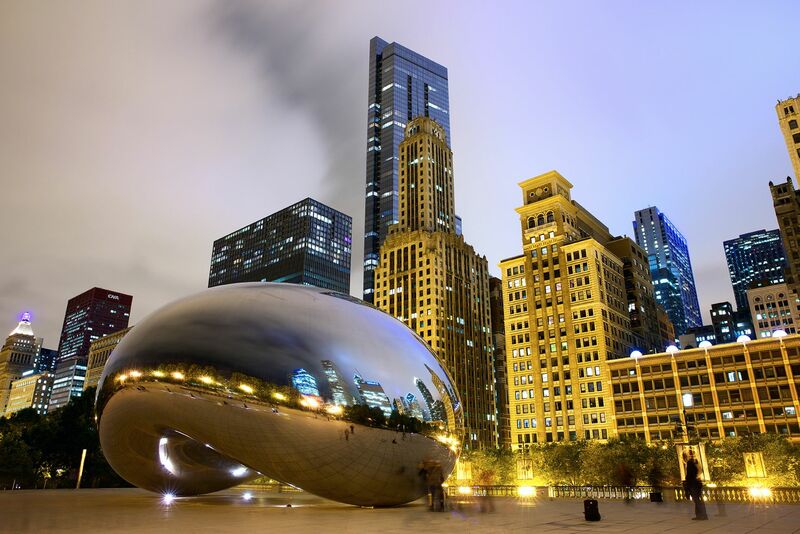 There is always something going on downtown during the warmer months - from the Taste of Chicago, different music events, and tons of shopping and entertainment. As for the apartment building itself, the amenities are second to none. You'll love the outdoor pool and spectacular terrace during the warmer months. These are truly luxury apartments that have so much to offer! All apartments feature spacious floor plans, with modern kitchen including: granite countertops, maple cabinetry, stainless steel appliances and a glass blacksplash. You have to love where you cook - and this is it! You'll also find an upgraded lighting package and hardwood floors in living and kitchen area. You'll love the views from your apartment's floor to ceiling windows. Berber carpet is in the bedrooms, and bathrooms have ceramic tile flooring. A washer and dryer are found in every apartment. Large walk-in closets give you ample storage space as well.